No matter how much I want summer to stick around (I think I might be the only person in America not in the mood for pumpkin spice and sweaters) I have to admit it is finally starting to feel like fall in DC. Yesterday Luke and I went to Arlington National Cemetery for a tour (which was absolutely a great experience, very moving, and hauntingly beautiful, definitely worth a trip), and on the way home I was a tad bit chilly. When we went out later that evening I even brought a light jacket (we also saw a family in winter coats when it was 70 out, but that’s just typical DC). 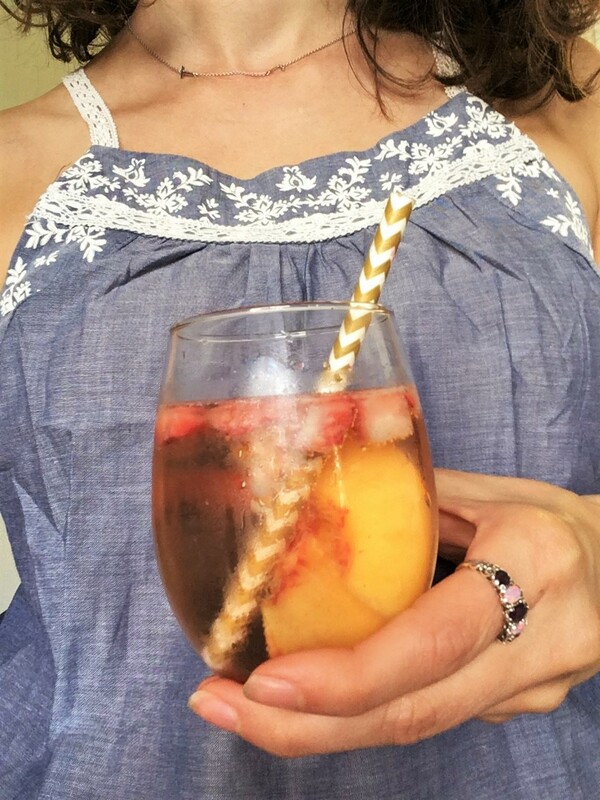 So, I guess it’s time for me to pack away the sundresses and break out the scarves, but not without one more glass of what has been my go to summer drink, a fruit filled, nectarine strawberry rosé spritzer. 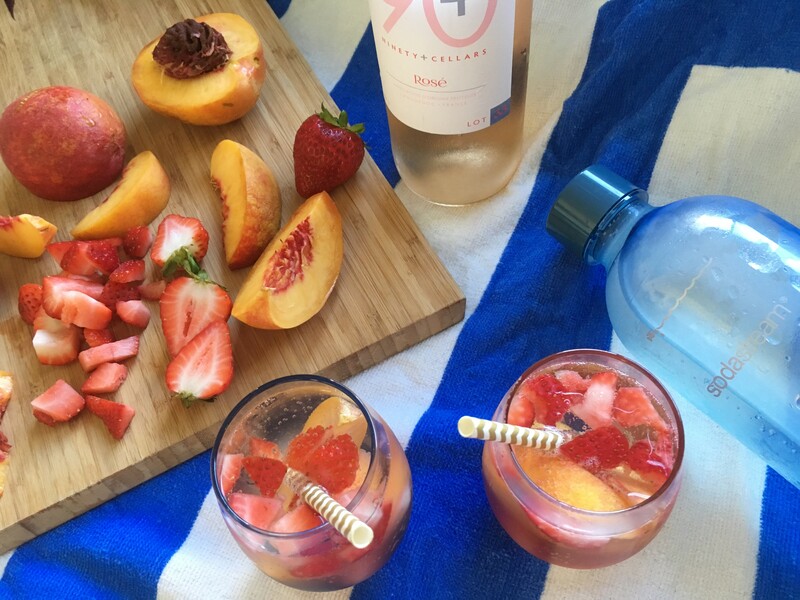 Rosé spritzers are so easy to make and don’t require an actual recipe. 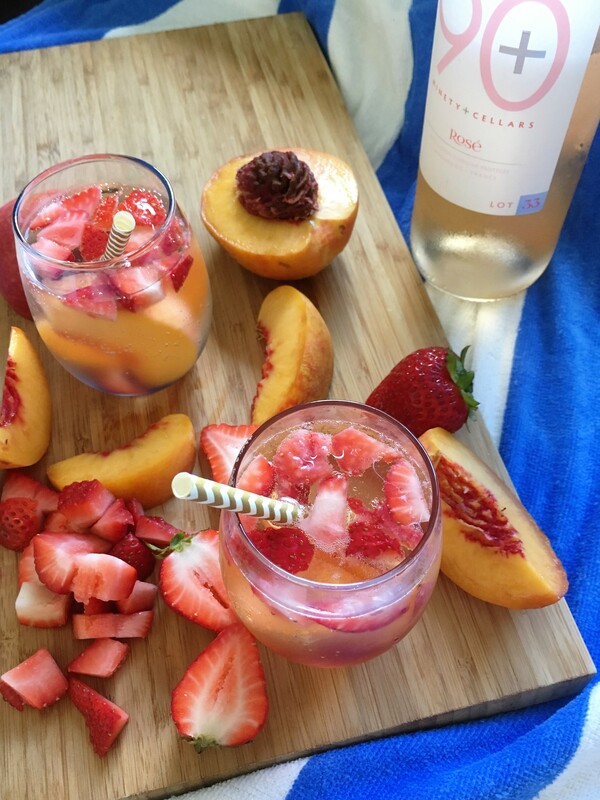 I just mix whatever fruit I happen to have on hand, normally berries and stone fruit, rosé (white wine works too, but in typical cliche form I was all about rosé this summer), and sparkling water. 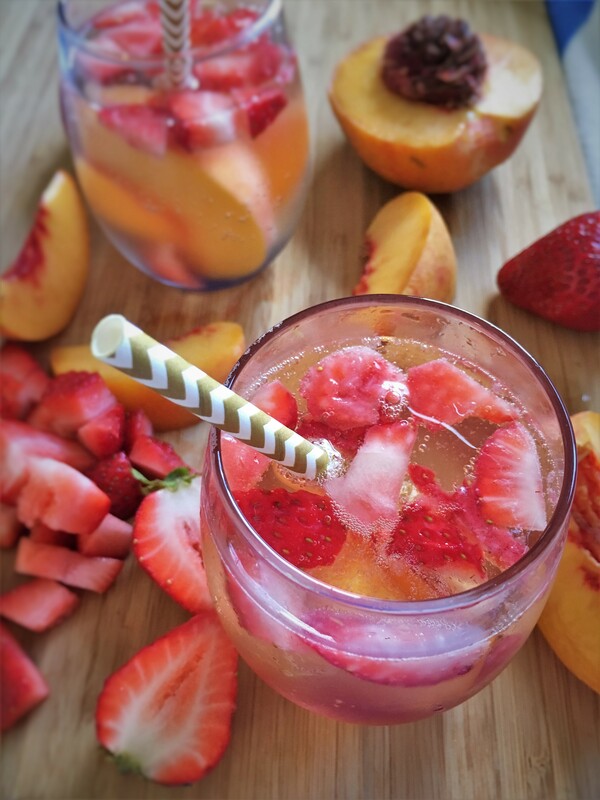 For this particular version I used nectarines and strawberries with plain sparkling water from my soda stream, but any fruit works and adding flavored sparkling water (my personal favorite is peach pear la croix) makes it super customizable! 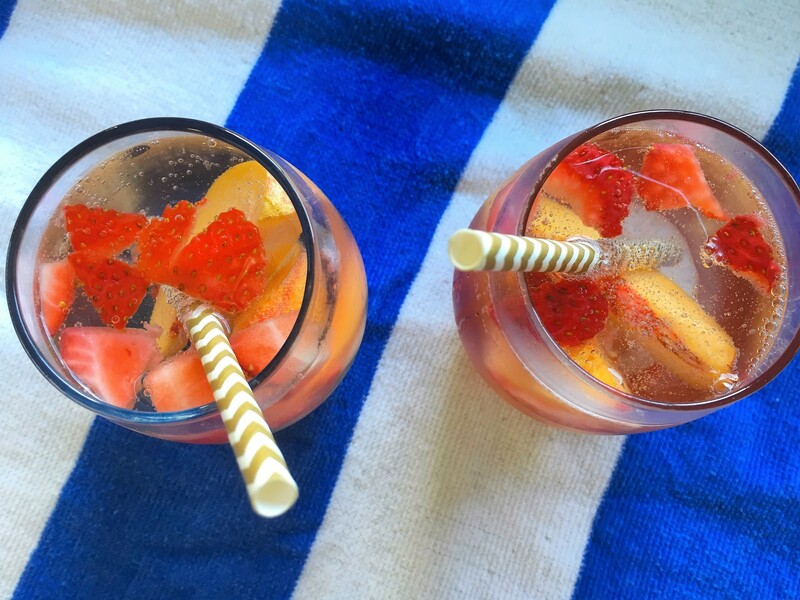 These nectarine strawberry rosé spritzers are so simple and delicious, so join me in saying farewell to summer. Now I need to find a go to fall cocktail… Suggestions welcome!